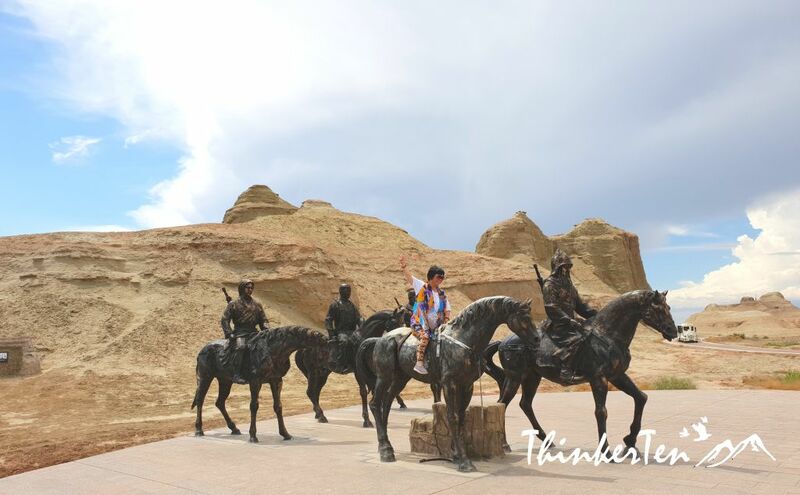 Ghost City in Xinjiang is different from the Ghost Town in the western country such as the Ghost Town I went last winter in California, Calico Ghost Town. Calico Ghost Town is an abandoned old mining town. 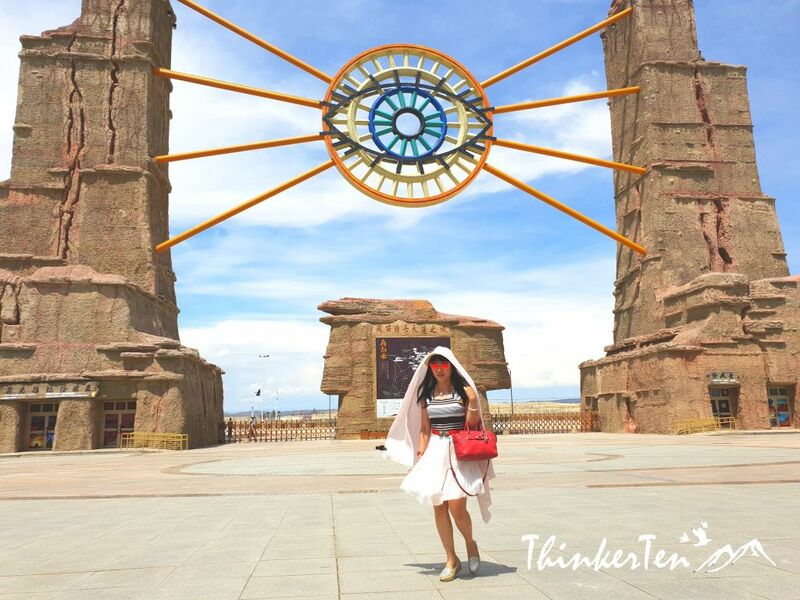 The recent Ghost City which I explored is situated 100 km away from Karamay City / 克拉玛依, Xinjiang, northwest China. 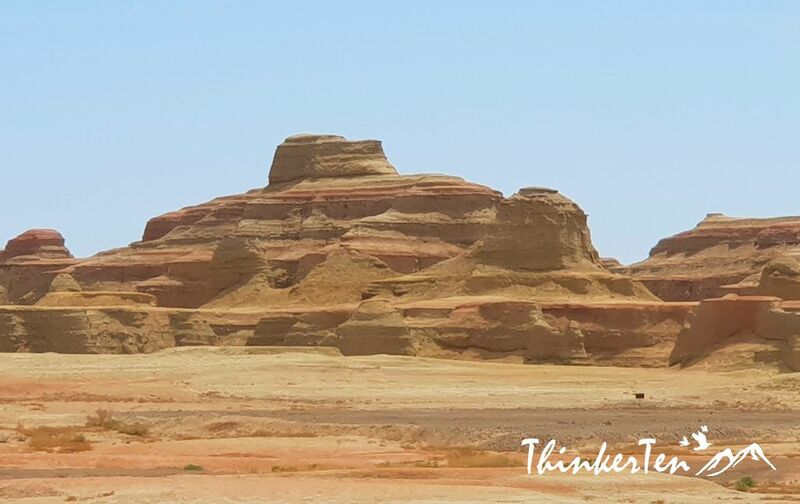 It is named after “Ghost City” due to frequent strong winds whistle and howl plus the flying sand create the mysterious yardang landform and caused various formations. 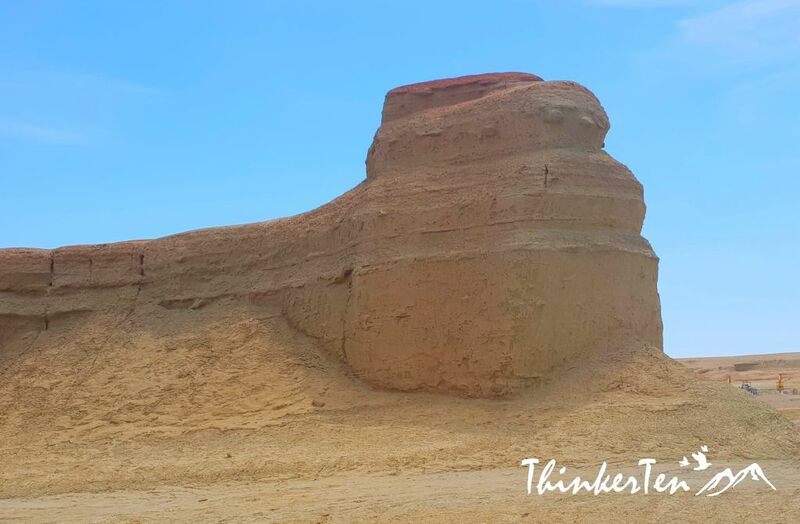 The word ‘yardang’ itself is of Turkic origin, meaning – steep bank, it is formed by the wind erosion. 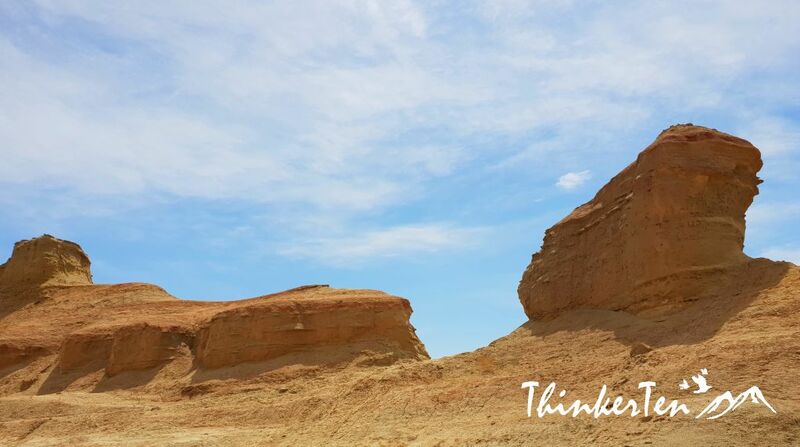 In Xinjiang & Gansu, you get to see a lot of yardang landform. Some look like animal, seal, lion etc. You need to use your imagination to see the landform here, some look like the Temple of Heaven in Beijing, some look like pyramid of Egypt, Cambodia Angkor Wat, eagle spreading its wings etc. 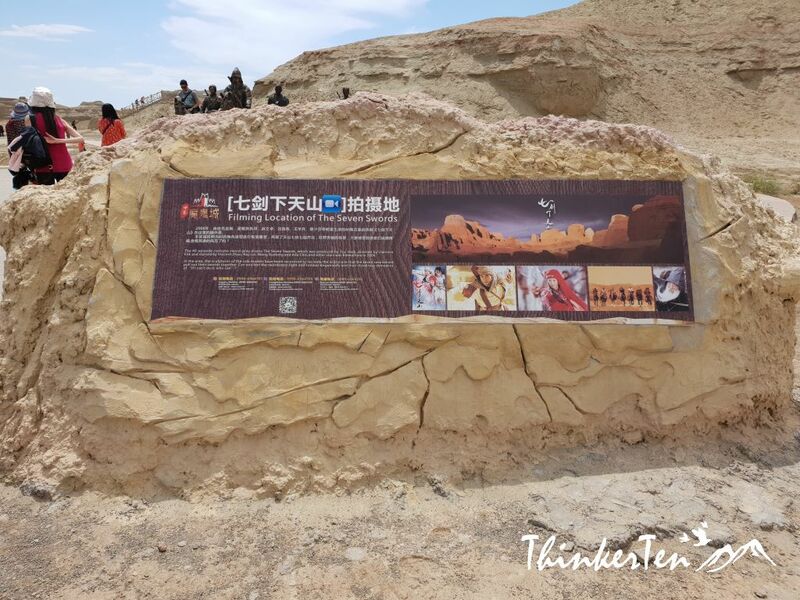 The landform here was selected as the “China’s three most beautiful Yadang” by the “National Beauty China” campaign of China National Geographic. 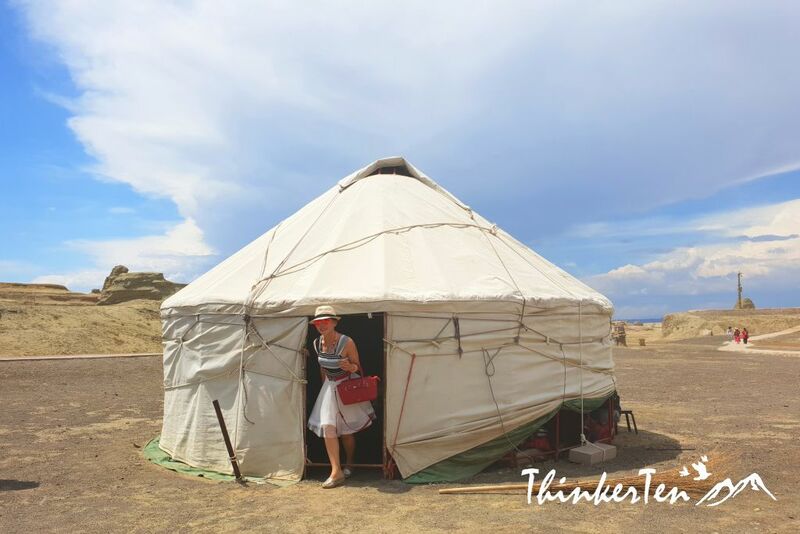 There is a Kazakh yurt at the first stop when I was there. Don’t hesitate to pop in to have a look and say hi to the people inside the yurt. I believe they are the camels owners, setting a yurt to stay away from the hot sun. There is a strong sunshine near Karamay, and the area is large. 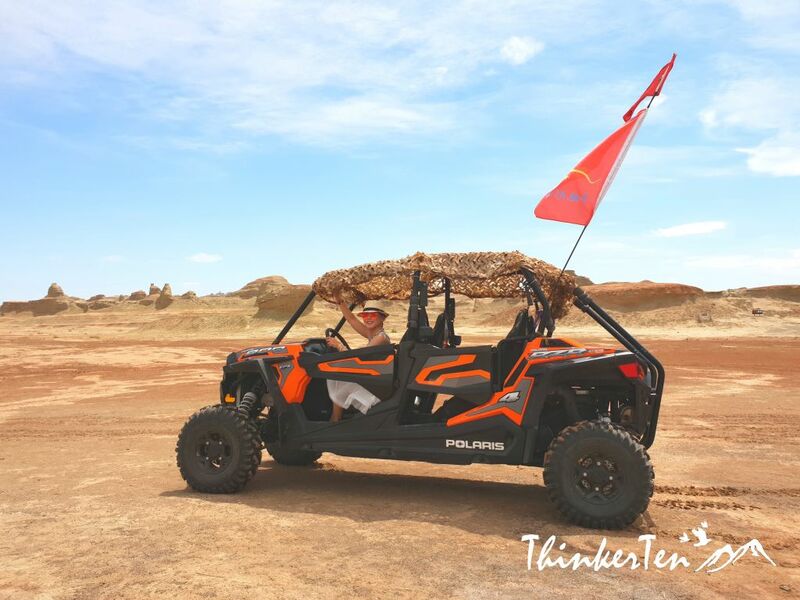 It is best to prepare sunscreen and sand proof equipment such as sunglasses, headscarves and sun hats. And the climate here is dry, so you need to prepare enough drinking water. Several Chinese famous movies such as “Crouching Tiger, Hidden Dragon”, “The Seven Swords Under the Heaven”, “The Visitors on the Iceberg” were shot here. The Dinosaur Valley is the final attraction. The dinosaurs here aren’t real dinosaur but it is really a dinosaur valley billion years ago. Opposite of the Ghost City, you can see the largest oil fields in China, called Karamay Oilfield. You see hundreds of jumpjack at the oil field. 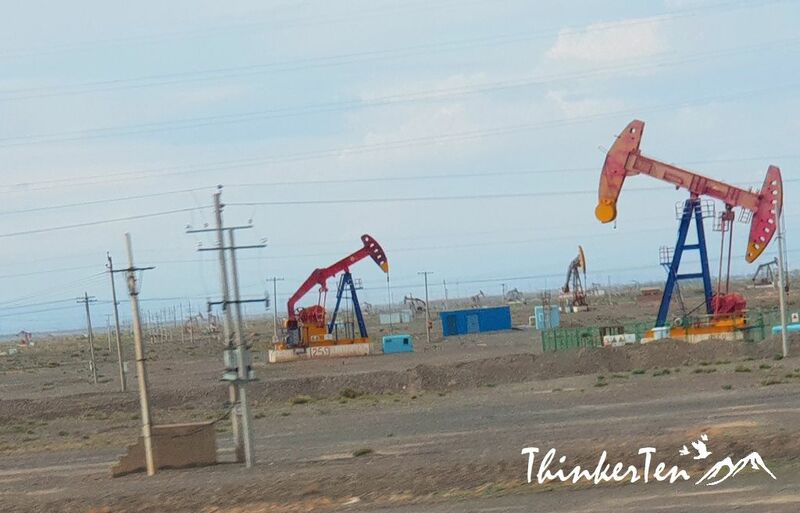 Xinjiang is a place full of oil and other mineral resources, I just seen the coal factory past few days and glad to see the Karamay Oilfield and their jumpjacks jumping up and down. What a stunning landscape. Karamay in Uyghur mean “black oil”, it is the wealthiest city in China, obviously the wealth is generated from the oil drilling. 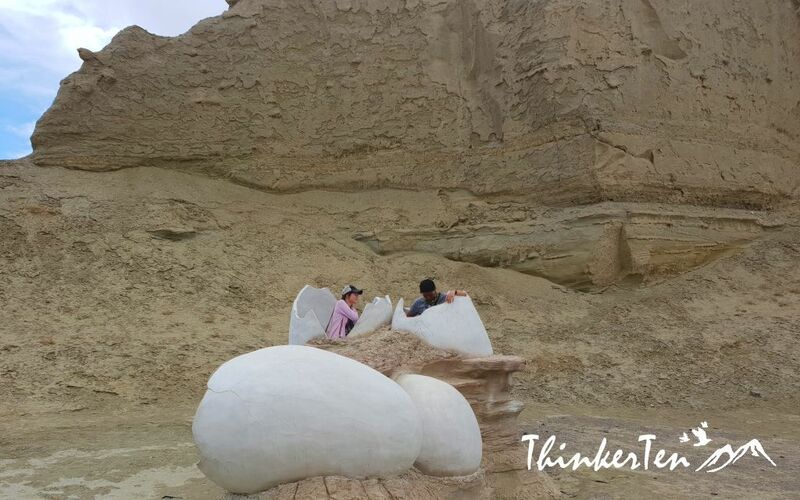 There are plenty of yardang landform caused by the wind and sand storm in Xinjiang and Urho Ghost City is one of them. It get more famous after few Chinese movies was shot here, one of them is “Crouching Tiger Hidden Dragon”. Opposit the Urho Ghost City you also get to see the Karamay Oilfield, an amazing landscape with hundreds of jumpjack jumping up and down, working very hard for oil drilling. Glad to witness how the oilfield looks like in Karamay, also one of the wealthiest city in China. Dinosaur Valley looks super cool! That would definitely be my favorite part! Looks like you guys had an amazing time! Interesting post and some lovely pictures. 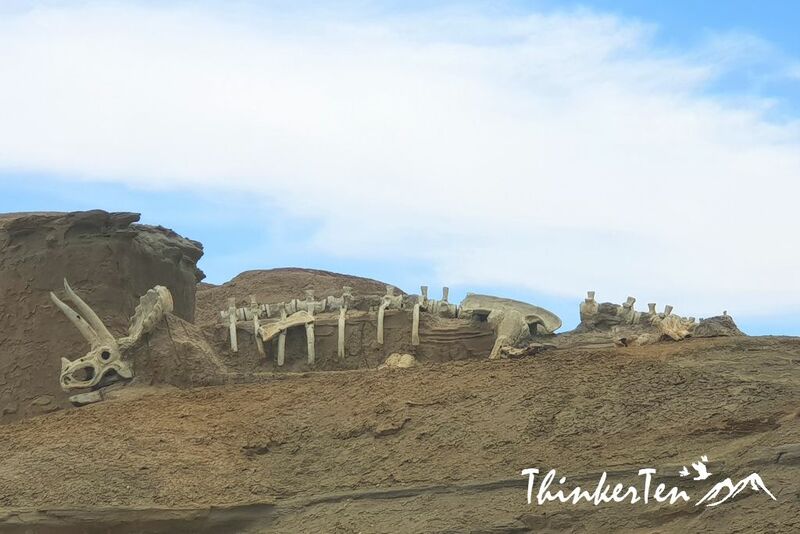 The dinosaur valley look very interesting and I can understand why they have chosen it to be their last attraction of the ride, too bad they couldn’t keep some real bones though. Seems as if you had an amazing time there! A bit jealous! True, if real bones of dinosaur then it will be more fun. The historical angle to your post is quite engaging. The landscape is stunningly beautiful. Wow, I have heard about ghost town in China but never thought that I could see it. The pictures are lovely. Your historical points for this post is lovely. This is such a neat area. I’ve never been here before, but I’m sure I’d like it. I’d enjoy seeing the Dinosaur Valley. It must have been such a wonderful experience to visit this place! It is definitely somewhere i’d love to go to! Your photos of the area are absolutely gorgeous! I would be so thrilled in the bus to be able to take so many photos along the journey’s path. I wonder if SPF 1000 is available? Something tells me I would get sunburned in absolutely no time! You certainly need SPF 1000 if there is one available in the market. 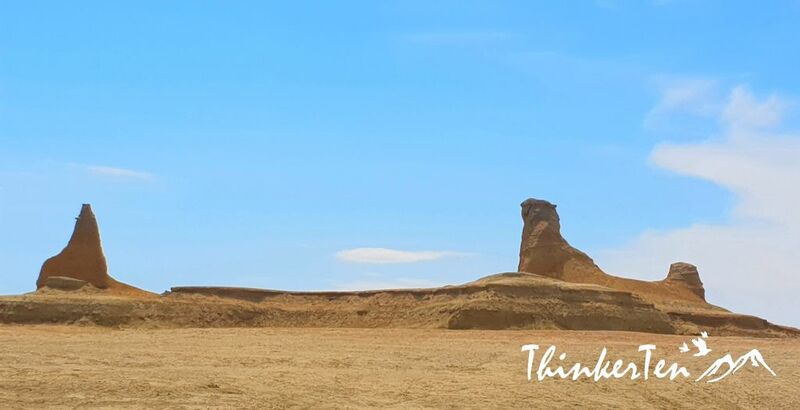 The weather is unbelievable as it is in the desert and yardang landform. Without the hat and unbrella I could be killed by the heat! Lol. Hi!! And I think a “mister” fan would be needed, as well! That heat is no joke! What a fascinating place to visit. Love the landscape and you definitely included some fabulous photos. Love the various natural formations here. The landscape is amazing, different shapes and looks like different kind of animals or things. 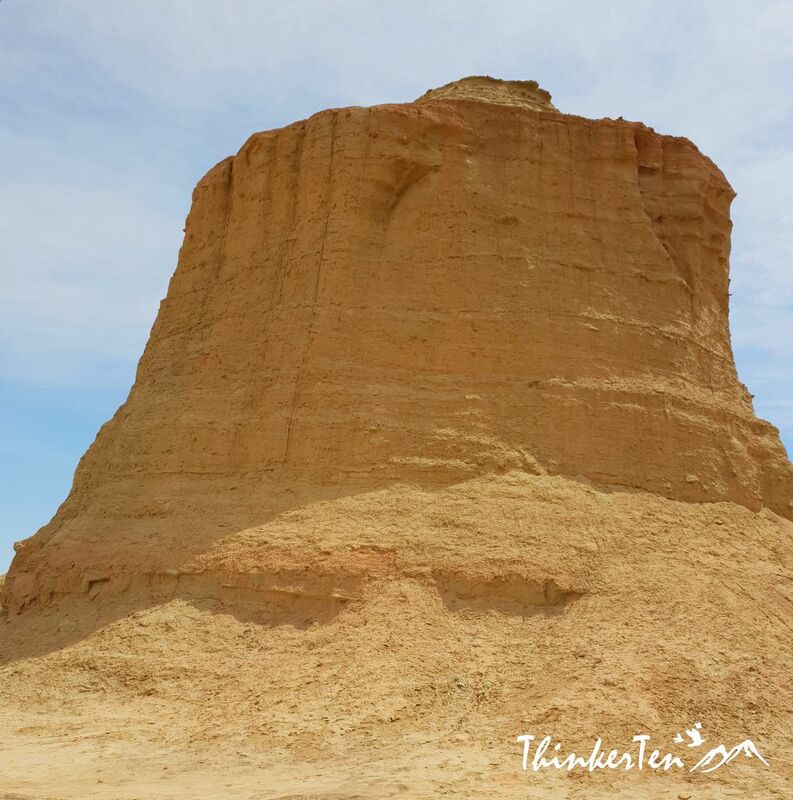 The yardang landform is caused by the strong wind and sand storm. Truly interesting landform. This place looks so cool. I’m sure you had a lot of fun. I’ll add it to my itinerary when I go visit. Wow, such a unique place to visit. And then photos you got are absolutely beautiful!! Traveling make you see how other part of the world live their life. We dont always see the best & positive sights in new place but I certainly get very interested to find out how the local live their life. I’ve always appreciated desert landscapes so you should be feeling lucky for visiting Ghost City lol! Camel riding would be a must-do for me too in such a place. Where I stay do not have desert so I am really into desert. Been to the Las Vegas desert too but they dont have camel riding. Quite lucky to have experience the camel riding. Slow like snail and very tame. Hope to enjoy that someday too! How cool! The ghost towns in China seem so different from the ghost towns in the US. It looks like you had an incredible time. I definitely would love to visit one day. Certainly different. Ghost town in US is an abandoned town from gold or silver mining. 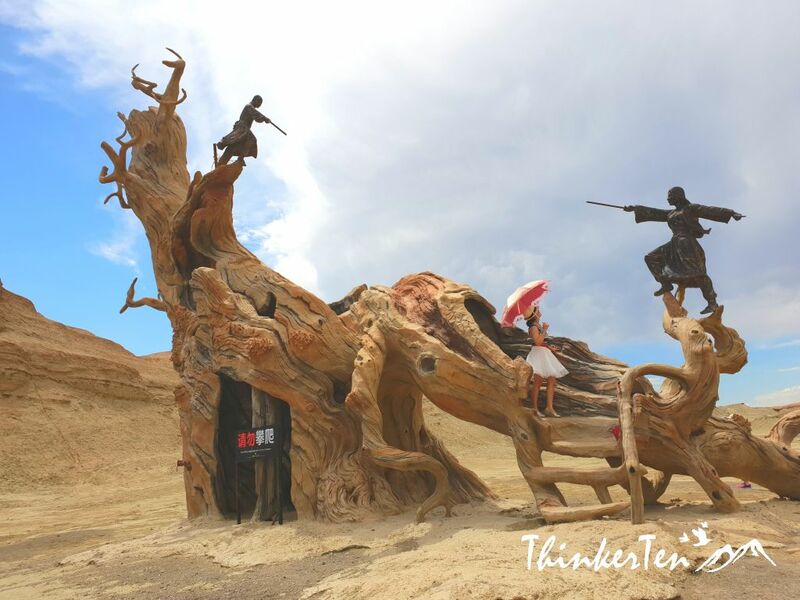 Ghost town in China has different interpretation. Named as ghost town due to the howling of the wind. This place looks so insane, in a good way. Would be a little scared though, seeing as it is a ghost city. It should be a very scary at night when there is frequent strong winds whistle and howling! Like the ghost howling in the yardang landform. What a stunning place! I want to go here to take photos…. Definitely a little spooky, though! Great place for visit and explore. I love the eye on the first picture so much^ so instagram asking! This is so interesting! It looks empty on one hand, but then filled with wonderful things hidden throughout. I want to ride a camel! This is such an interesting read and beautiful scenery. As a content creator, I always imagine the kind of pictures I would create, should I be there and this would be a top location. My kids would love Dinosaur Valley! This sounds like an amazing vacation. Wow this is so interest. I’d love the Dinosaur Valley. Sounds like you had a great trip. Wow! That looks like an amazing place. And “Crouching Tiger, Hidden Dragon?” That just made my day. The view of the landform leaves me speechless. This looks like an adventure that I want to go someday. I had no idea the landscape in China could look like this! Gorgeous pictures. I love finding out about places like this! Dinosaur Valley sounds like a place I’d definitely visit and camel riding sounds so fun! I’ve visited Calico Ghost Town in California. I guess now I’ll have to visit this ghost city in China for my own comparison. These pics definitely make it look like a destination worth visiting. First of all I would like to commend you with your photos are very stunning and that place that you visited was really beautiful. You can’t see any beautiful and tall building but the place itself and the natural way of forming this by nature is really incredible. Amazing place!I want to go there someday! The picture are very nice. I want to ride in a camel! That’s interesting the differences in what one country sees as a ghost town and another a ghost city. One is more abandonment and another is almost about real crazy and natural phenomenon but I can see why they think ghosts might be involved if it produces very interesting noises with the winds. You are right 🙂 Both offer different experience and I enjoyed both. what a cool and amazing place. I have to say that the dino bones are my fave, even if they aren’t real. awesome destination. The yardang landforms look really cool. 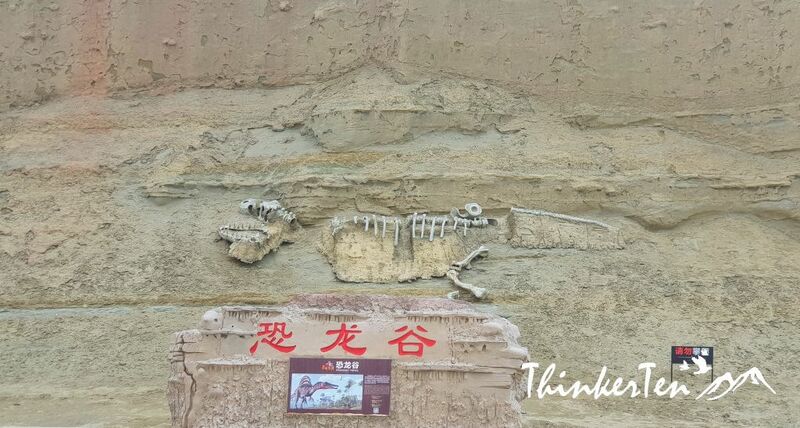 I would prefer to go to Xinjiang Urho Ghost City and see the lanforms versus the Karamay Oilfield. Probaby because the landforms are in a different country and I live in the US so I’ve seen things similar to the oilfield. Beautiful pictures of the landforms! I agree the landscape in Xinjiang look slightly similar to US. You do have canyon landform and oilfield and plenty of mountain ranges. We don’t get to see that over here so it is pretty facinating view and sights. When I first saw the jumpjack in the states, I didnt even know it is for oilfield. LOL. China not only has oilfield, it has coal and many other minerals, especially in Xinjiang province. And you are right, the treasure are yet to dscovered and utilize for future use. 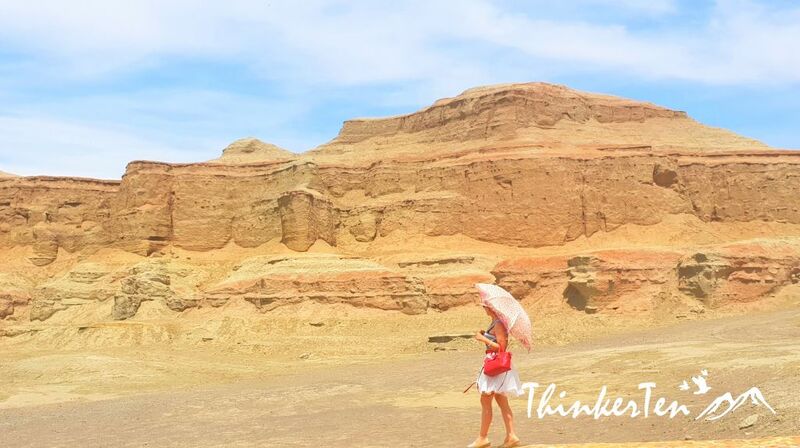 wow, it looks like the Arizona desert all the way in china, I had no idea they had desert like that in china, and I’ve traveled there a lot! This part of China is in the northwest China, every near to Russia and Kazakhstan. The landforms is incredible and the minority people who lives here look very different from the Han Chinese look. The minority Uyghurs (Turkic ethnic ) who lives here look very much like Turkish and some have brown hair and green eyes and tall nose, not the typical Chinese look. Your posts are always so fascinating . Loving the various shapes of the sand figures but I think the dust would be a bit annoying to me . I prefer Ghost City . Never thought of riding a camel in China . China has big desert in the northwest, part of Gobi desert sit in China too. 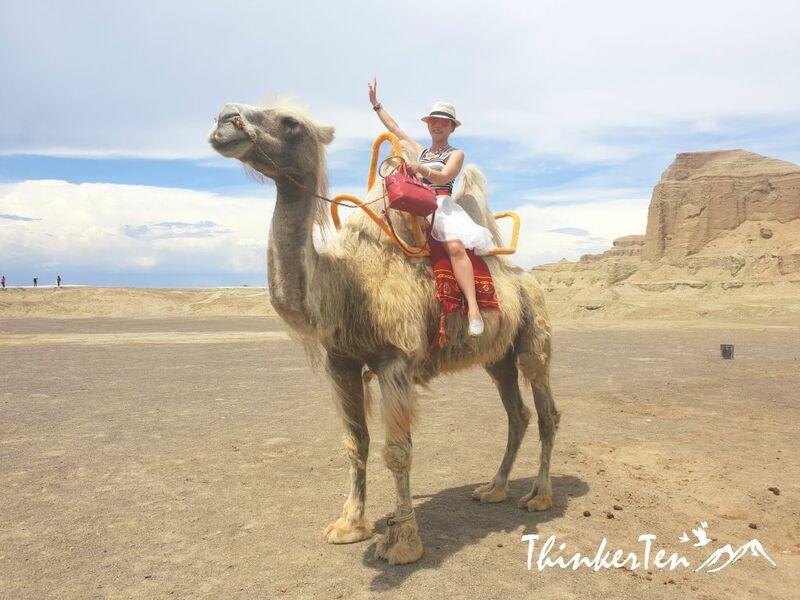 Camel is used during the Silk Road period as the transport from the east to the west, bringing in goods to trade. One of the imporantant item is silks and well loved by the western world. I love your pics! 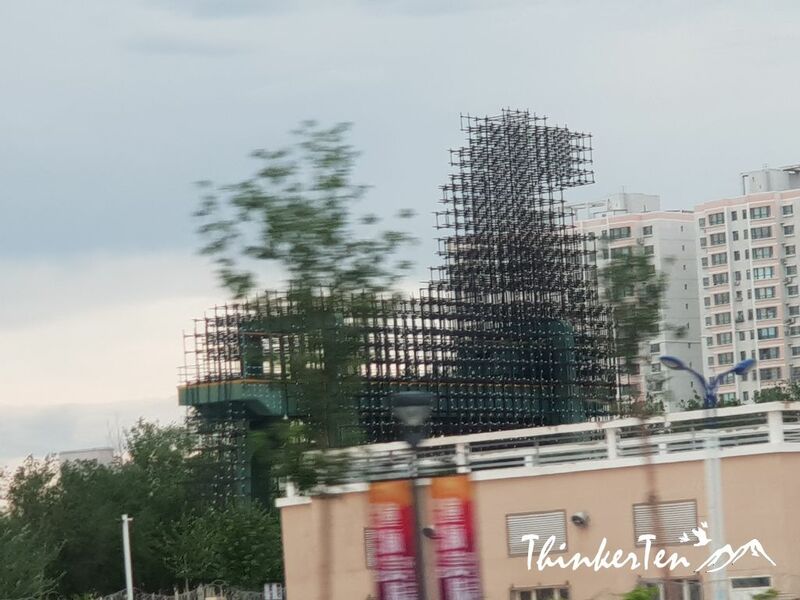 I didn’t know China had this terrain. I shouldn’t be surprised, though. There’s a lot of diversity there…the camels, the pyramid like structures, the sand dunes and camels. It looks like a must take trip. 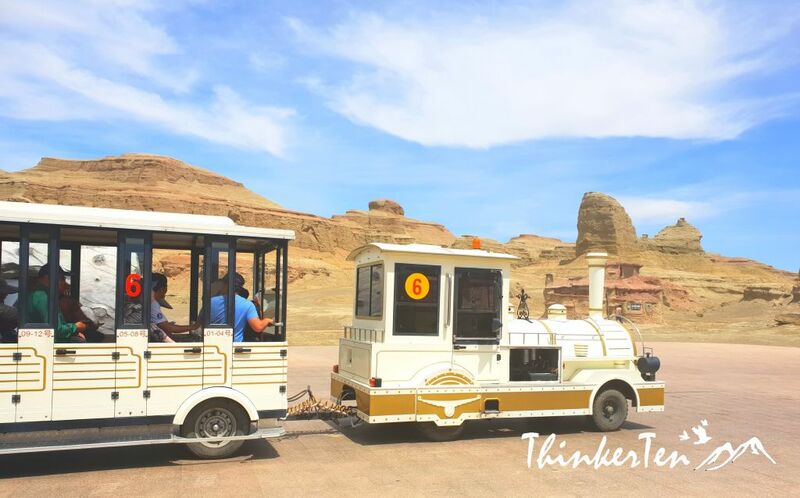 Xinjiang is an indepth sight seeing for travelers who have been to China multiple times. The China first timer would usually go to Beijing for the Great Wall or Xian for the Terracotta Army.